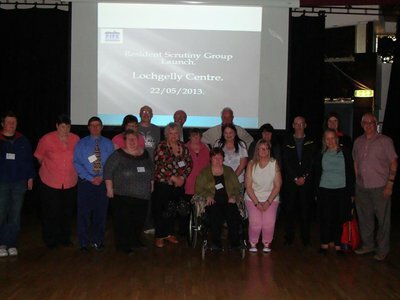 Last week saw the successful launch of the Fife Housing Association Resident Scrutiny Group. Tenants and other service users have been meeting over the last four months to establish a scrutiny group that will independently monitor and evaluate Fife Housing Association’s housing services. “I am delighted that tenants are grasping this opportunity to have a real say in how the Association is providing services for its customers. The Board is now looking forward to working with the Scrutiny Group to improve service delivery in the coming months and years”. As part of its national scrutiny programme, the Tenants Information Service (TIS) has provided training and development to support the establishment of the Scrutiny Group. “The formal launch of the Scrutiny Group represents a milestone for both the Association and tenants in meeting the objectives of the Charter. I look forward to working closely with the Group to ensure the views of the wider community are heard”.